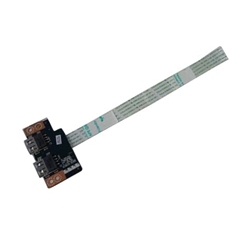 Description: New genuine Acer laptop usb port board with ribbon cable. This original circuit board contains 2 usb ports. Compatible Part #'s: 55.MEPN2.001, LS-9532P. Acer TravelMate P255, P255MG, P255MP, P255MPG, P455-M, P455-MG.